Day three was another busy day at MAW China! 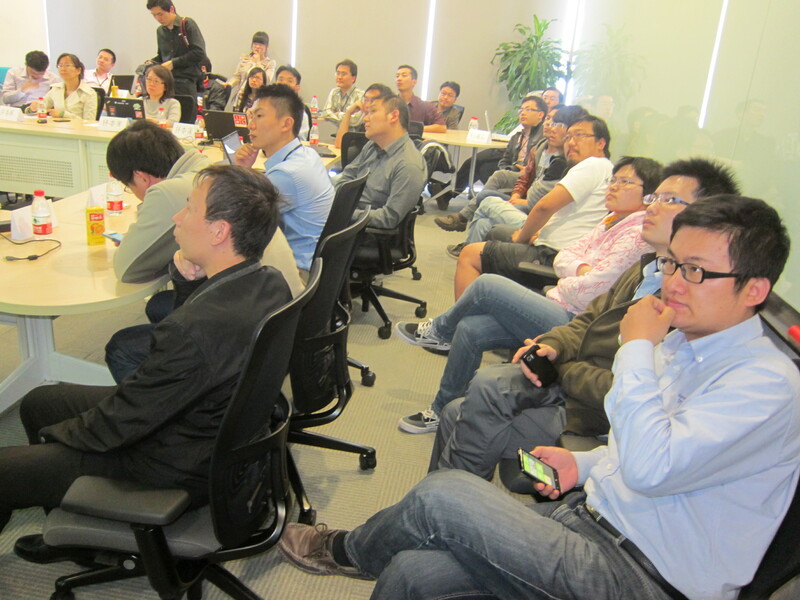 Developers from the 19 participating companies arrived early on a beautiful day in Beijing. After yesterday’s rainstorm, there were clear blue skies and the sun was shining down on MAW. In contrast to yesterday’s development time, day three was more heavily focused on the business side of applications. Welcome to day three of MAW! Brian Hoskins, SEBT Microsoft, kicked off the morning with a detailed session on Marketplace and Monetization. He covered statistics on application downloads, user engagement, and the momentum on the Windows Phone platform. Over the past three months, Marketplace submissions have increased 60% as new Nokia Windows Phones have hit markets worldwide. Nokia recently released the Lumia 610 in China as well as the higher end Lumia 800 phone. There’s a lot of excitement about the Nokia launch in China and new opportunities for developers. In the second half of the presentation, Brian focused on the ways Microsoft is helping improve app discoverability and user engagement, including special merchandising on Marketplace using the Metro UI, Marketplace Extras website, App Connect integration, and Live Tiles. Brian discussed developer success stories to date and best practices for how to monetize both free and paid apps. The remainder of the day was spent on development, including individual sessions on UI and UX, as well as coding support from Microsoft. Participants are working hard on app development, design, and architecture. In the late afternoon, startups gathered to do dry runs of their presentations for tomorrow’s Demo Day. Microsoft and other developers were on hand to give feedback on the presentations and apps. 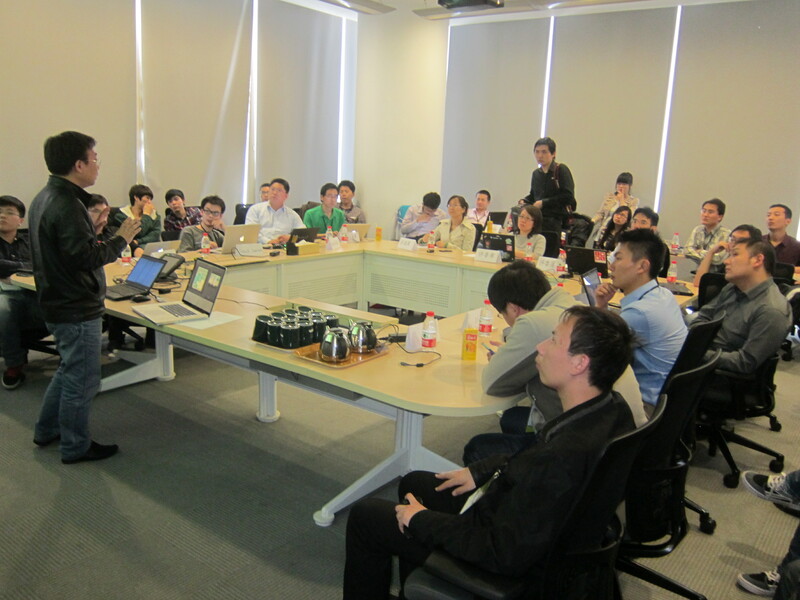 In addition to the development work, 16 more startups participated in 1:1 business consulting sessions with Brian Hoskins and members of the local Microsoft team in China. The companies are taking full advantage of these MAW opportunities, including the valuable 1:1 consulting sessions. Needless to say, it was a busy day for everyone involved! Tomorrow promises to be a big day, with all 19 companies ready to present in front of Microsoft, Nokia, industry partners, and the press! 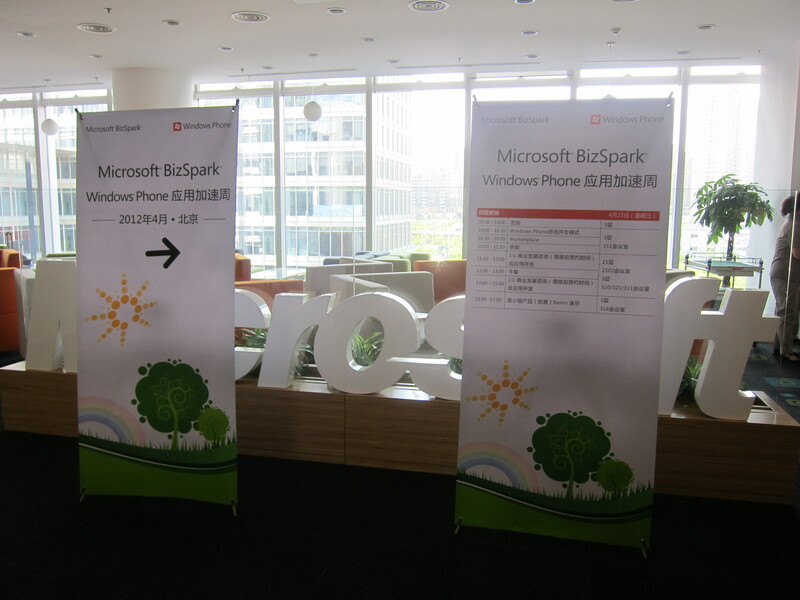 The Microsoft team will be conducting interviews with the local media throughout the day as well. Check back for more updates on MAW China or stay tuned to Twitter for updates throughout the day. You can also find more general information about MAW on the homepage and application information here.